During a retrospective of the Taviani Brothers in the Cineteca Nazionale in Rome, the film L’italia non e’un paese povero will be screened. The Taviani Brothers were the assistants of Ivens during the making of this film. They consider Joris Ivens as their ‘teacher’ en admired him very much. 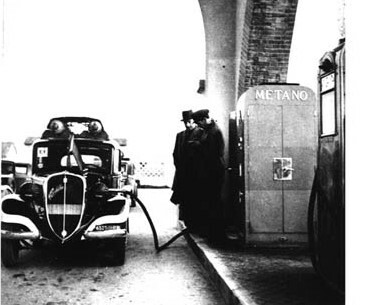 The Taviani brothers were approached by Ivens in 1960 and he asked them to be his assistants during the making of a film of three separate parts, about the extraction of gas and oil in Italy. They already had made some documentaries before, but they were still at the beginning of their film career. The third part of L’italia non e’un paese povero was eventually almost made by the Taviani brothers themselves because Ivens already started on the editing of the first two parts. Here they showed already a specific and personal style, that differs from the parts that Ivens made. Ivens saw the pictures of the Taviani brothers and afterwards he recommended them to make fiction films instead of documentaries. That is what they did and they became well known fiction filmmakers. The film L’italia non e’un paese povero was eventually censored by the Italian television (RAI) because there was too much poverty in it.